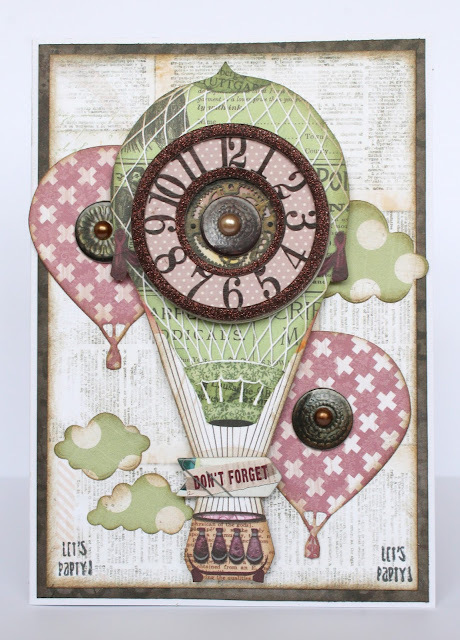 The BoBunny Blog: Beautiful Dreamer Cards With Fly Away Dies! 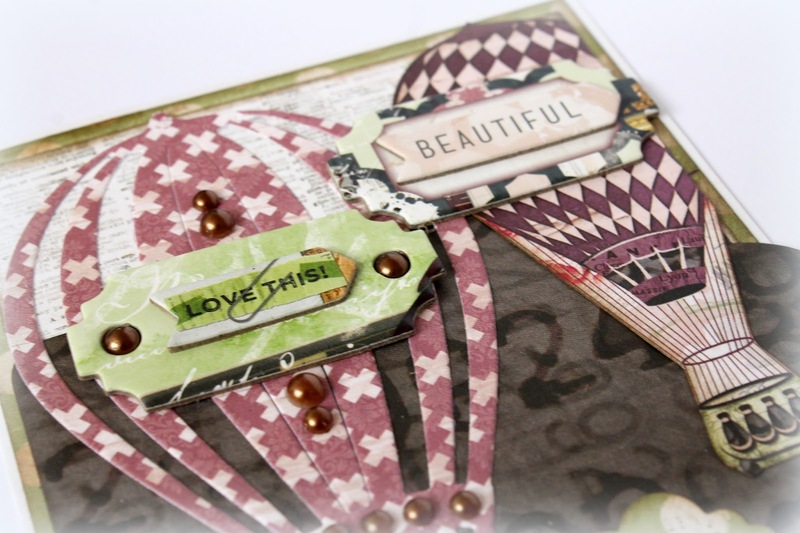 Beautiful Dreamer Cards With Fly Away Dies! Today I would like to show you two party invitations I made using the gorgeous Fly Away dies set and the lovely Beautiful Dreamer collection. These dies and papers are a match made in heaven and they made it really easy to whip up these two cards in no time at all. 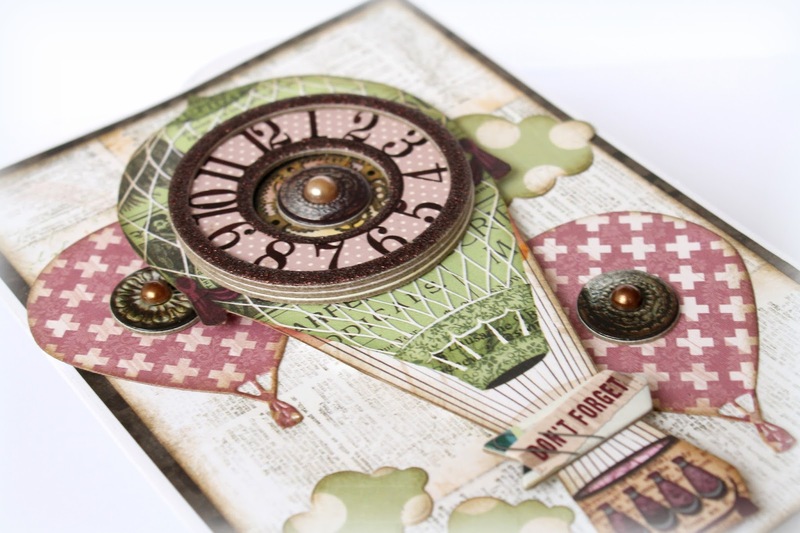 On my first card I used the small hot-air balloon die to cut out two purple hot-air balloons. I also cut out a larger balloon from one of the papers and positioned that in the middle of my card. I further decorated my card with two clouds, which I also cut out using the Fly Away dies set. 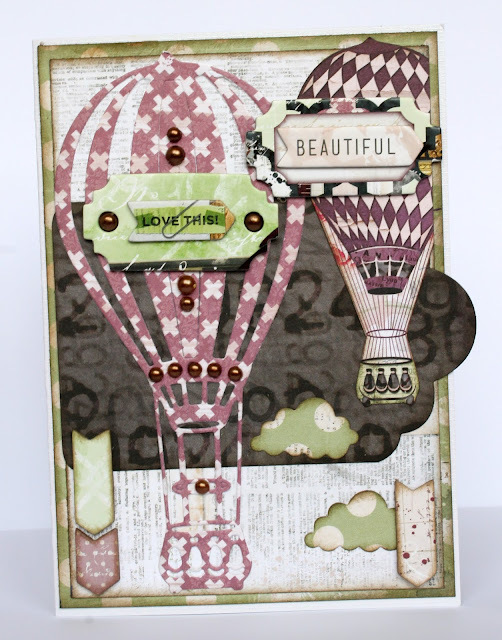 On my second card I used the larger hot-air balloon die. I incorporated this hot-air balloon on the left side of my card and cut out another hot-air balloon from one of the papers to attach on the right side of my card. I used pearls and chipboard pieces to further decorate my card. The black tag that I used on this card was cut out with another dies set: the Nested Tags dies.